There is no doubt that the people of Godaddy read my post from yesterday. Immediately after writing the post the phone started ringing. My account rep started off by saying they were going to do everything they could to try and get the domain but even if they couldn’t they would give me my money back. Sounds gracious except for one thing. But before I get to that let me say this. Godaddy has changed the auction system so this will not happen again. A Godaddy to Godaddy domain will INSTANTLY change hands within 5 days of payment. Automatically. No buttons to to push. No procedures to follow. Payment is within the week and things like this should be a thing of the past. I will also say that there is no doubt my account rep was told to get on it and make it right. The people from above took this seriously (I’m guessing Paul Nicks was one but haven’t heard from his personally) and they made sure it was taken care of one way or another. And for that I am appreciative. Would this all have happened if I didn’t have a blog or written this post? I would like to think it would have regardless, but evidence shows the post was a wake up call. Prior to the post their was very little action. I have always felt like Godaddy employees have to deal with so many people day in and day out that they tend to go through the motions. It’s human and I’m not blaming. It’s the reason this started in the first place. 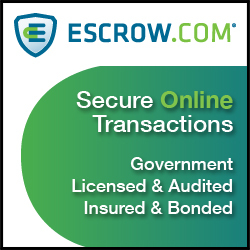 I went through the motions without the details of checking to see if a domain had made it to my account. The employees were doing the same thing. My account rep may not have even been my rep at the time of this incident but he has done his job. Above and beyond? I’m not sure they are allowed to go above and beyond. I think everything they say and do is scripted. From the opening statement of “I would like you to be made aware this phone call is being recorded from training and quality service” everything is based on routines. But that is a fair way to do business with a company of that size. Fortunately, the automation process will take out the risk to the customers, but it needs to be a tool that allows the process to improve, not to take out the personal customer service and attention that all customers deserve. When you rely on your customers to make you aware of your problems you have a big problem of your own. And for those of you that thought it was nice that Godaddy gave me my money back there is something I didn’t share with you. The customer that I had purchased the domain from had refunded the money within several weeks of my payment. Godaddy took the money back and never let me know that it had been refunded. It was something that nobody even knew at Godaddy until the other side told them. It was only yesterday that they double checked the accounting records and saw that he was correct. So I may have been 7 months late on checking on a domain, it all would never have happened if I had received a simple email saying my money had been refunded and that I would not be receiving the domain. So don’t think they are going above and beyond, they were simply giving me my money back, not taking money out of their own pocket. But again, I repeat. Mistakes happen and they’ve realized theirs and instituted a safer, more efficient, transfer system for auction sales. They’ve are now doing everything right and I can’t ask for anything more. I live by a few simple rules. It’s not the mistake but how you handle it that will determine your success. The other. I’d rather have a bottle in front of me than a frontal lobotomy. Both mantras help me get through. There is still smarm going on behind the scenes at GD. After the whole affair with ‘certain employees’ bidding on aftermarket auctions and their supposed efforts to clean up the integrity of tdnam, shady stuff still happens. For example, I bought a tdnam name via auction that was previously owned by a defunct business. It went for a shockingly low price, but hooray for me. Suddenly, the domain is shifted to privacy, listed on the aftermarket for around $5K and I get a notice that says the owner redeemed. Thing is? They didn’t. I did the legwork. Someone at GD pocketed that domain. Maybe the VC money will change the uglier corporate-cultural elements that seem to exist there. As it stands, I get the feeling there’s a small tribe of GD denizens in the ‘top floor offices’ who are behind the scenes, snickering. You were made whole because you’re a visible domain industry blogger and they’re quite experienced at damage control. If you weren’t, you wouldn’t have been. Although the picture makes you less anonymous. I can’t say I completely agree with you BUT no doubt I was moved to the top of the list due to this blog. I’m not going to lie and say I don’t appreciate being moved to the front of the line. I don’t want to step on people as I move there but it’s nice to have the bulkhead seat of life sometimes. Certainly nothing wrong enjoying privilege. Just saying that John Q Namepros with his portfolio of 3d and .co names isn’t going to get the same level of service in an identical circumstance. I’m actually giving GD a second look as far as hosting the bulk of my stuff (I think I have a hundred or so names with them now) but taking a wait and see approach, as far as what impact the ownership change has. This is with anything you walk into a dealership are they going to give the seasonsed sales pro to the guy buying the cadiallac, or the guy buying a chevy? At the bank the millionaire, or the poor student? The blogger with some say, or the newbie domainer? It is a fact of life, status and money play an important role in everyday life, and service, it is a taboo subject, look at beyonce and her birth, did she get special treatment at a hospital, most likely yes, because she has money, and status. GoDaddy has been very responsive to my issues via Twitter. I do feel like they care and are paying attention. I use GoDaddy specifically because it is their stated rule (now) that employees not buy domains (inside the GoDaddy system, Paul Nicks was very clear about that in his recent interview at DomainSherpa). And also because ALL their expiring inventory either goes to auction or drops. They’re the only registrar that does this, as far as I know, so in my opinion, they’re the only registrar that is acting fairly and with their customer’s interests at heart. I do agree with you. Just saying that there were issues. We all make mistakes. Even billion dollar companies. Paul Nicks certainly seems like he cares. Glad to see your issue was handled properly. On TDNAM, however, the emails for weeks are being sent with long delays, sometimes as long as 2 hours after an action takes place (e.g. a bid placed, being outbid etc.). GoDaddy claims everything is ok but the email timestamps prove otherwise. Also, taking back a domain because the owner renewed it right on the last day of the grace period is frustrating, when hundreds or even thousands of dollars are involved. Refunds don’t cut it, GoDaddy needs to stop auctioning domains that can be clawed back, period. I think this will be my last sale there, waiting 45 days AFTER THE LAST DAY OF THE MONTH with a 30% commission is not my kind of business. If you sold a domain today (Jan 15) it means you wont get paid until April 15 (Last day of Jan + 45 days) imagine that!! And they only pay by check, so add to that the check delivery and the time it will take to cash out if your not in the US. I would rather used Sedo.com with a 10% commission and next day payouts, big mistake listing with Godaddy. 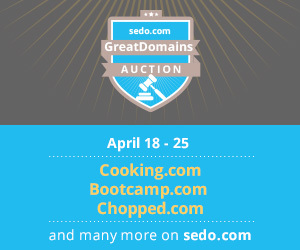 The five days are auctions not premium domains. Sorry for the confusion. And I agree, the wait time and commission is way too high. I think it would have Shane, it might have just taken longer. I do think GoDaddy tries to be fair when it can. Regarding “domain clawbacks” like Acro mentioned is a non-issue I think. 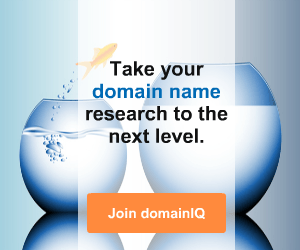 Out of every 100 domains I buy there I get maybe seven or eight renewed by the origninal registrant. It’s miniscule. About 20% of the time a domain is renewed it is another GoDaddy bidder that got upset they lost. I have personally had about six people kicked out of TDNAM forever for losing and then calling the domain owner to get the domain behind my back. To the poster above that lost a domain this way, inform GoDaddy and that person will be kicked out of TDNAM, aka GoDaddy Auctions. 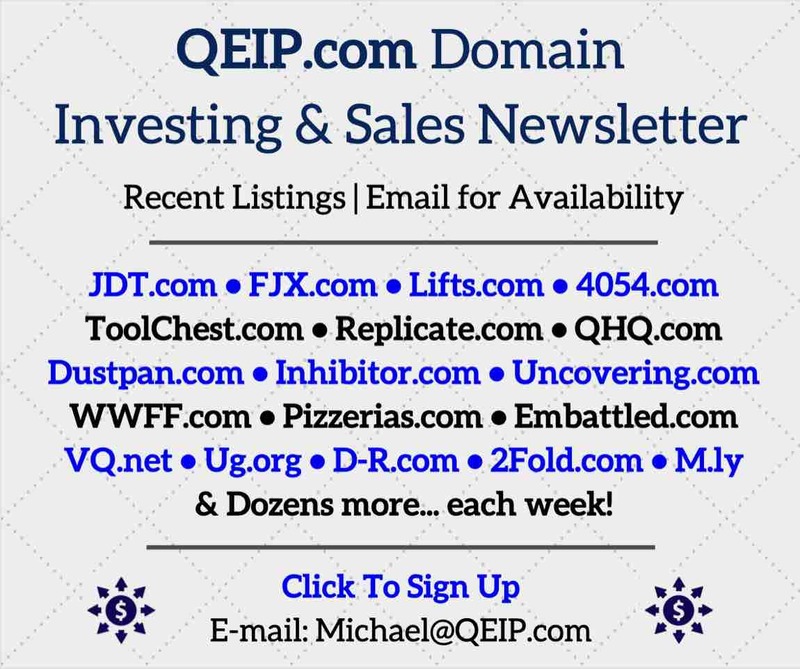 If they are serious domain investors, that will hurt. Getting back to the subject, I think GD is trying to do the right thing, I think they just had some organizational issues. 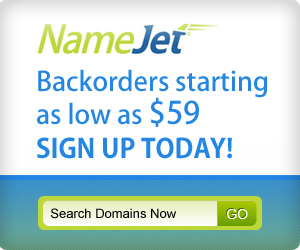 In the old days, pre-2008, domains would get refunded in TDNAM and they’d forget to credit my credit card!!! It happened several times, even on domains of several thousand dollars. After I raised hell a few times that stopped. GoDaddy is slow to get things corrected, but they do get them corrected, and are moving in the right direction like a slow-moving barge. I think they are genuinely good people trying to do the right thing. Actually, now that I think about it, it is probably more like 5% . Shane I am lost about a couple things, How did the original owner who you bought the name from get to refund the money and not have to move the domain over to you ? What is happening to the person that thought he bought this name from you ? The thing that makes no sense, is the disparity in timing for payout on sale. If you hold a public auction on Go Daddy or its a premium listing purchased in the registration path, either way Go Daddy gets the money from the buyer. Saying they have to hold for 45 days to protect against credit card stolen on the premium listing, why not on the plain old public auction transaction, in both cases they get paid it could be a non legit credit card on the Go Daddy auction just like it could premium listing side. This blog has Really got better and has become an everyday read. I got paid on a 4 letter .com from gd about 6 months ago. I waited for transfer and nothing. Renewal came up and I thought I would renew for the new owner. A good 3 months passes and no transfer so I call gd and tell the guy about this problem. This guy didn’t care and wanted me to write an email lol to some department blah blah all the while trying to get me to renew more domains! Domain crusher are you saying that you’ve won the auction on gd, the other person has contacted the owner of the domain, they renew and then sell to the guy you lost to. You then complain and get that person kicked off their auction platform forever?